The former CIA director David Petraeus will lead a project focusing on North American competitiveness. The retired four-star Army general and former CIA director David Petraeus is joining the staff at Harvard's John F Kennedy School of Government. 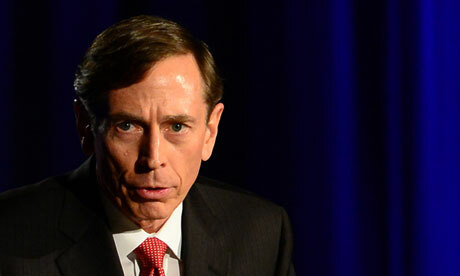 The school announced on Friday that Petraeus has been appointed a non-resident senior fellow at the Belfer Center for Science and International Affairs. Petraeus will jointly lead a new project focusing on the technological, scientific and economic dynamics that are spurring renewed North American competitiveness. "The Coming North American Decades" project will analyse how potential policy choices could effect this ongoing transformation. Petraeus is known for implementing the "surge" strategy while leading US forces in Iraq. He was also commander of US and international forces in Afghanistan before becoming CIA director. He resigned his CIA post after an affair with his biographer, Paula Broadwell, was revealed by an FBI investigation. Petraeus faced protests from students and teaching staff when he took up a position as a visiting professor at the City University of New York (CUNY) last month. Demonstrators accused him of being a "war criminal".